American Express announced Thursday that it was cutting 5,400 jobs, becoming the latest large financial firm to reduce its headcount. The company said the largest reductions would come from its travel businesses, which "operate in an industry that is being fundamentally reinvented as a result of the digital revolution." "One outcome of this ongoing shift to online is that we can serve a growing customer base with lower staffing levels," AmEx CEO Kenneth Chenault said in a call with analysts. "Staying ahead of these trends has led us to redesign the model within global business travel and to continue the evolution within cardmember servicing and collections." While the cuts will be partially offset by the addition of new positions, American Express said it expects to see its current work force of 63,500 reduced by between 4% and 6% by the end of the year. "Against the backdrop of an uneven economic recovery, these restructuring initiatives are designed to make American Express more nimble, more efficient and more effective in using our resources to drive growth," Chenault said in a statement. The company said the cuts "will be spread proportionally between the U.S. and international markets and will primarily involve positions that do not directly generate revenue." Shares fell about 0.7% in after-hours trading. 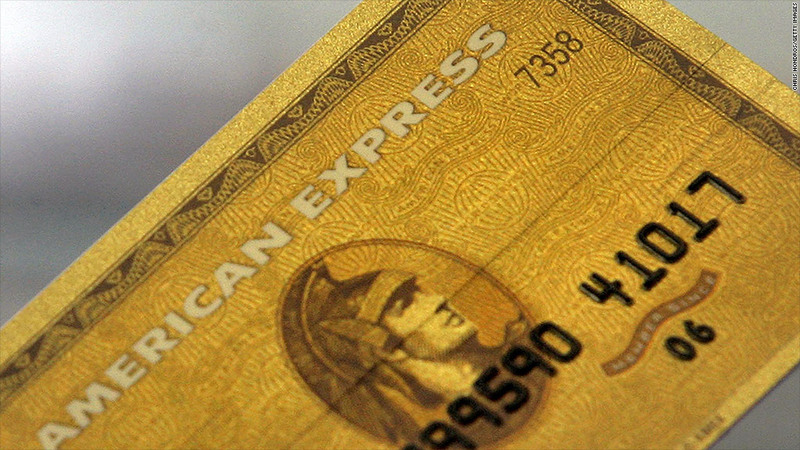 The news came as American Express (AXP) pre-announced of its fourth-quarter results. Excluding severance costs associated with the job cuts and other special expenses, net income came in at $1.2 billion, or $1.09 a share, exceeding the prediction of $1.06 a share from analysts surveyed by Thomson Reuters. Sales were $8.1 billion, in line with expectations. Elsewhere in the industry, Morgan Stanley (AACXX) plans to eliminate 1,600 jobs in the coming weeks, a source told CNNMoney this week. Last month, Citigroup (C) announced plans to cut 11,000 jobs.